Should You Sign up for A Rewards Credit Card? 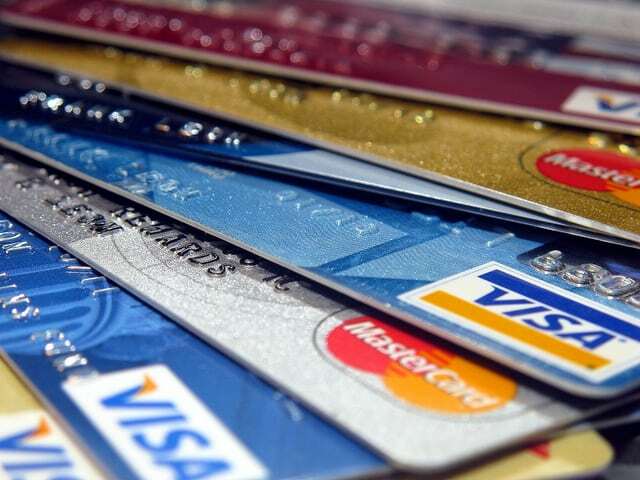 Make sure you have your debt paid off before venturing into the world of rewards credit cards. You will never be able to earn enough rewards to make it worth the possibility of taking on more debt. Whether it is old credit card debt, student loans or various other purchases, take care of your old debt before signing up for any credit cards. This is a big deal. Don’t spend money you don’t have. Don’t carry a balance over into the next month. This is exactly what credit card companies want you to do. In fact, they are betting that you won’t pay it off and if you aren’t careful, they will win, not you. Do you have an emergency fund set up? Do you have money in savings? If not, do that first. Do you struggle to make ends meet at the end of the month? If that’s the case, a new credit card is not what you need. Take time to analyze your family’s financial situation, come up with a plan to pay off debt and create some margin in your life before venturing into the world of rewards credit cards. Set your family up short term and long term with a solid plan. You will be glad you did. Most of us love to shop. We like buying new things. If you already know that having a new credit card is going to be trouble, then don’t sign up for it. You need to be disciplines with your family’s money and if that’s not you and your spouse, don’t sign up for a new card. Earning travel rewards, points, and cash back is truly rewarding when done wisely. Being disciplined with your spending, keeping track of every dollar, is the key to winning the rewards game. Make sure you and your spouse know the risks before signing up for a new credit card. Do you have a plan in place for tracking your credit card spending to earn rewards? Let us know in the comments below!